FanMail – Luna Lovegood Limited Edition Box – Available Now! For our final limited edition box of 2017, we decided to celebrate one of our favorite witches from the Harry Potter universe. Luna is whimsical, intelligent, and a constant reminder to embrace our weirdness, because that’s what makes us who we are. 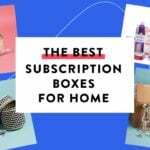 If you aren’t familiar with their monthly subscription box, check out all of our FanMail Box reviews! Is this from the Luna who comments on here? That is amazing if it is. She seems awesome! Thanks for posting this Liz! I thought everyone should know. It’s in preorder and there are only 100 boxes total, so you better get it fast if you want it!